A selection of School Photos from the local schools. You must have one or two you could publish here ? 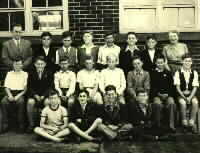 The “Transition” Class at Heys Boys School 1956. Teachers – Mrs. Neilson and Mr Hulme. Courtesy of Anthony Creacall. peter you label mine and trevors photo’s late 50’s but most were early to middle. Thanks Jack. I have now altered a couple. The teacher in photo 6 is Mr Fletcher. Brian Pearson writes ….about the Heys Boys School photo from about 1963 …..
this handsome chap is paddy roberts no mistake..i left in 1963 under mr. yates. Picture 16 – How much I loved Mrs Armstrong! She was my classteacher when my father died. I still vividly remember my first day back at School afterwards when (with a four-year-old’s bizarre sense of pride!) I said, “Mrs Armstrong, my Dad died.” “I know, dear,” she said, then paused before giving me a huge hug. Odd that I recall it being a “huge hug” because, after her retirement, I didn’t see her again until Brian Richards’ retirement as Headmaster. I went back to St Mary’s church for his retirement service and there was Mrs Armstrong, escorted by Mrs Norris. I’m a little over 6’4″… I suspect Mrs Armstrong was rather less than 4’6″; a tiny woman to give a huge hug! At coffee after the service she remembered exactly who I was, although I suspect I have changed a little since that hug! My sister Mary is in the Buttersttile Lane photo! Where ? and who are the rest Maggie ? picture 6 back row DAVID KNOWLES, UNKNOWN, SELF, PHILIP ROBINSON PHILIP WEBSTER,ALLAN BAILEY,DAVID REED.upper row STEVE DAMPIER ?,DAVE BOARDMAN, PEARSON DAVE SUNDERLAND GAGE STEVE BOWKER PAUL BURGES ROBERT GREENGAGE lower row CRIS BARRETT, DAVID CHADWICK, JOHN ENTWISTLE,KEN CLEMANSHAW,PAUL SEWAL UNKNOWN, ROBIN ? [HARRY DUCK] REG EVANS bottom row ALAN RICHARDSON DAVE [NIGEL]POMFRET,PETER SEATON ,UNKNOWN ,UNKNOWN PETER TOMLINSON . 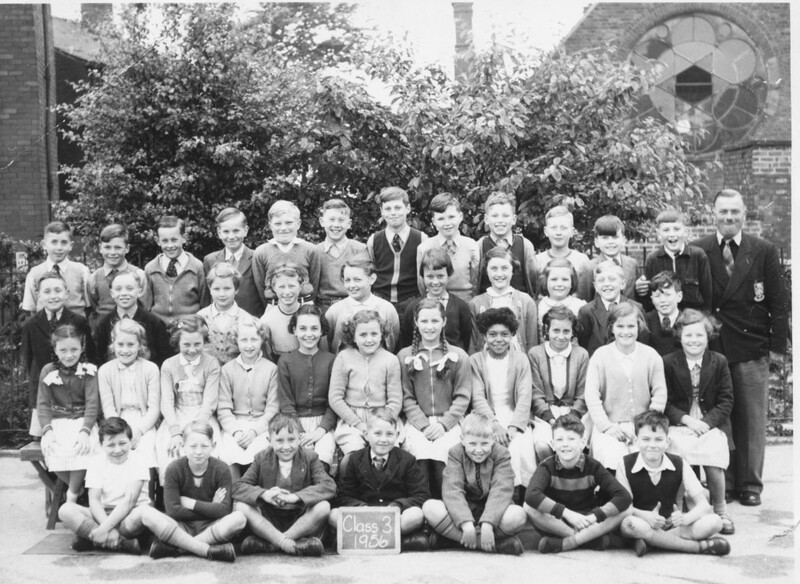 Bottom righthand side second person in,Robert Wolstenholme.My sister (Janice)when the to the school at the same time. I am also in that photo, in fact I have a copy. I am in front of Dereck ?? (I remember he was always in trouble). I also remember Mary Harris, Jean Stonehouse, Zena Collins, Lesley Whittaker, Lorraine Cooper, & lots of others, but only their first names. I didn’t realise there were two Wolstenholmes in that class. I am 6th from the left with my head in my hands. You must have left long before the end of primary. My sister Valerie Cross is on the 1953 Coronation picture of St Mary’s. She is also on the later one of Class 3 with Sam Woodward as teacher. Her friends include Lynne Smith, Kathleen Butterworth and Michael Story. I’m sure that we have lots of other photos we could submit . 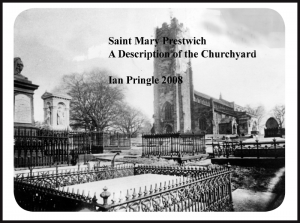 Lovely to see the Prestwich Carnival pictures . The one outside Tower buildings just shows the corner of my Dad’s shop-Brindle and Kirkby- radio and television. We lived there for the first years of our life. Was at Heys from 1976- 1981 and would love to see any photos etc from then as I have nothing at all. Any help?